A pair of full length dungarres had been on my wishlist since last summer but I never found a pair that I fell in love with. That is until this pair landed on my doorstep. I just had to team them with my usual stripes (buying stripes has become a SERIOUS addiction of mine, as you may have noticed!) and I do kind of feel like a 90s teddy bear but in my eyes it's still a good look! 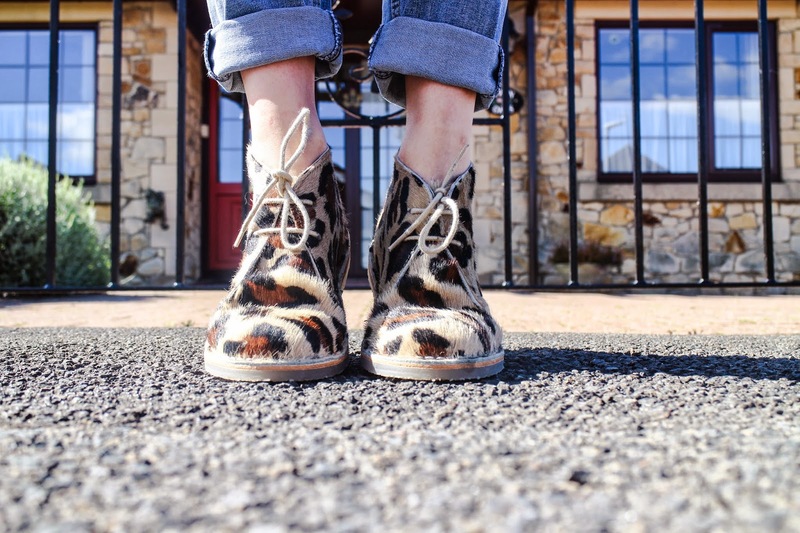 The boots are a new A/W purchase for me - I absolutely love a little bit of pattern clashing and what better way to do it than with a pair of leopard boots? Ooooo I really love this look! Those leopard boots are so amazing!! 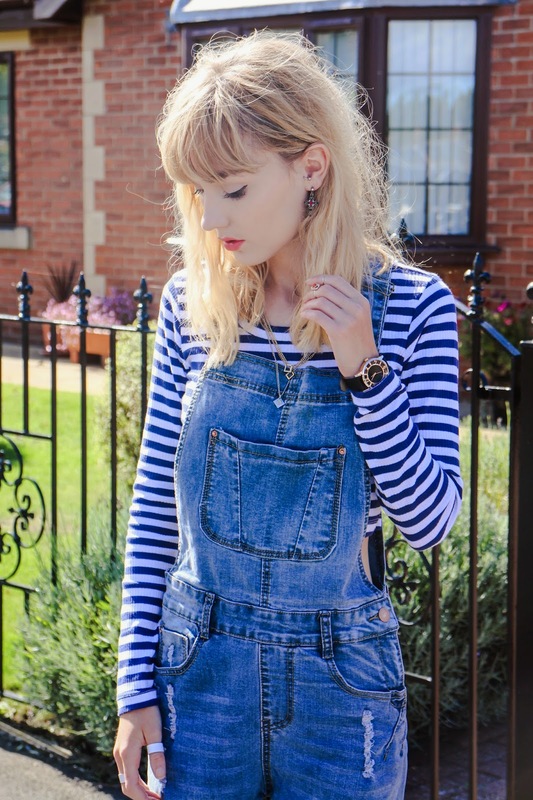 I love a good pair of dungarees! The leopard print boots are so cute!!! I love this outfit, especially teamed with the stripe crop! I have a pair of dungarees myself and always feel a bit like I've walked out of the 'FRIENDS' set wearing them! You look flawless! Love your make up too! Sweet and lovely, yet strong look! I love your overalls and how you paired it with that striped t-shirt! 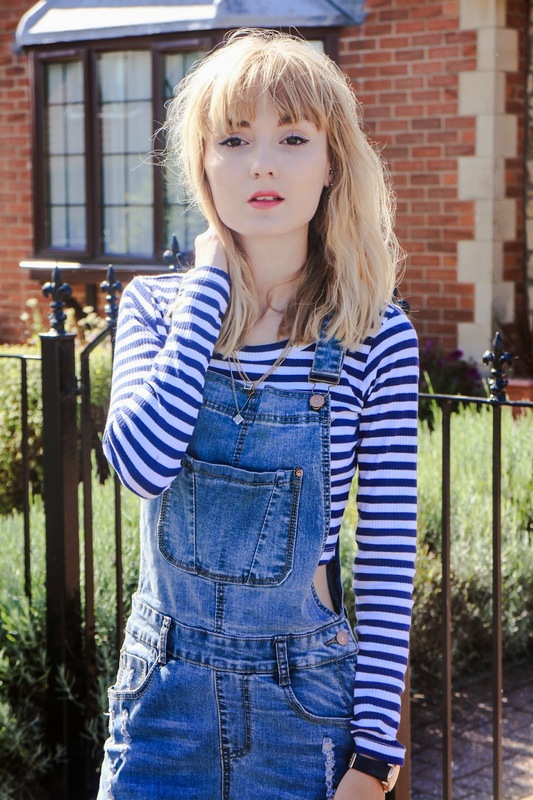 I wish I could pull off dungarees, they look amazing on you and I love the cropped stripy tee underneath! love the boots and I'll never tire of dungarees, but sadly I don't think I have a shape which suits them. At all. These necklaces are super cute!! Love the print clash, you can never go wrong with leopard print :) those dungarees are seriously cute too! Perfect outfit, you look amazing :) have a great weekend! You look stunning! 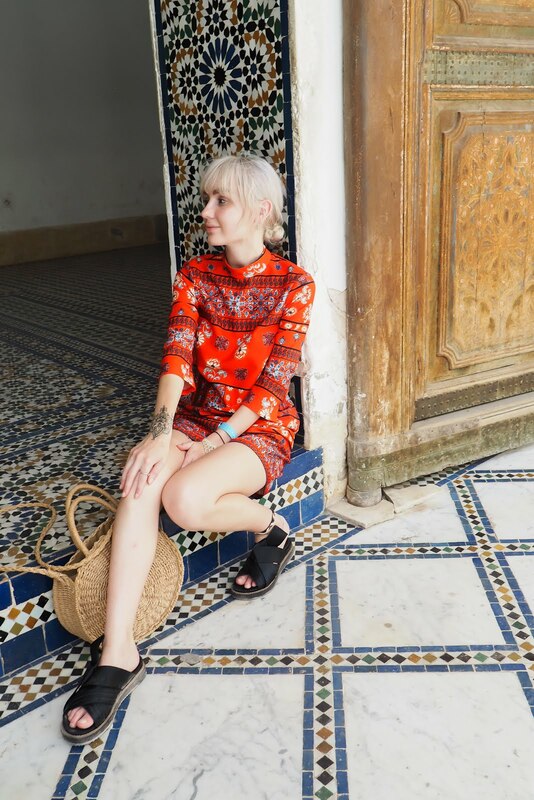 Your style is impeccable ! Love how you styled the outfit! Wonderful, 90's is pretty much one of my favorite things on earth. I love, love this outfit! I knew overalls and striped shirt would look good together! Thanks for the inspiration, will wear mine like this! You look gorgeous and totally love your style! This look is absolute perfection <3 p.s. You have such a cute smile! I love your 90's look. I'm a massive fan of this outfit! what size are you wearing? ?